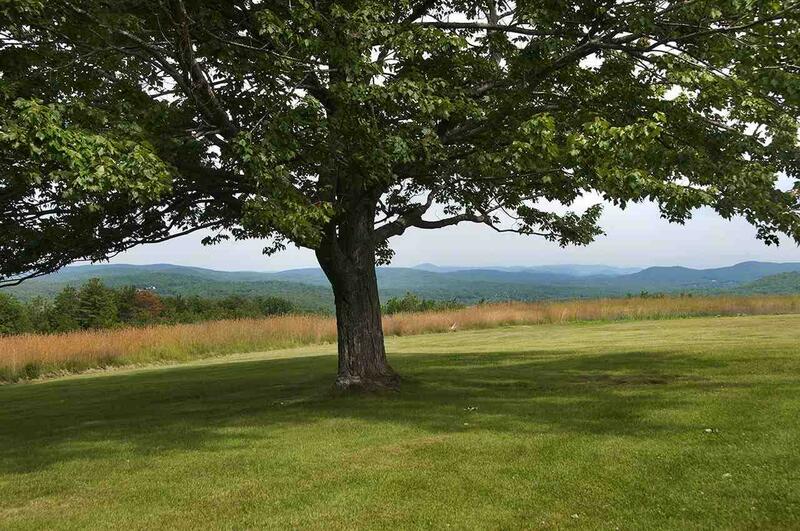 A gently winding stonewall-lined drive leads to this top-of-the-world property with 259 acres in Greenfield that backs up to conserved land of the Harris Center. 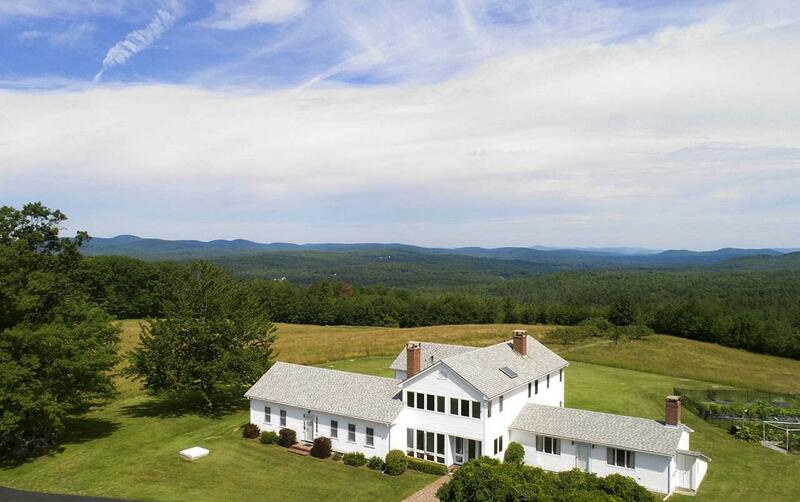 The pristine 1860s cape with a first-floor bedroom suite and living room with brick fireplace, blends with newer additions that capture the 180 degree views across a large lawn and open fields to the mountains of Haystack, Kearsarge and Sunapee beyond. With 4,236 square feet, this home has plenty of room for family and entertaining including four bedrooms, four baths, two living rooms, dining room, sunroom, and a large family room off the central kitchen. 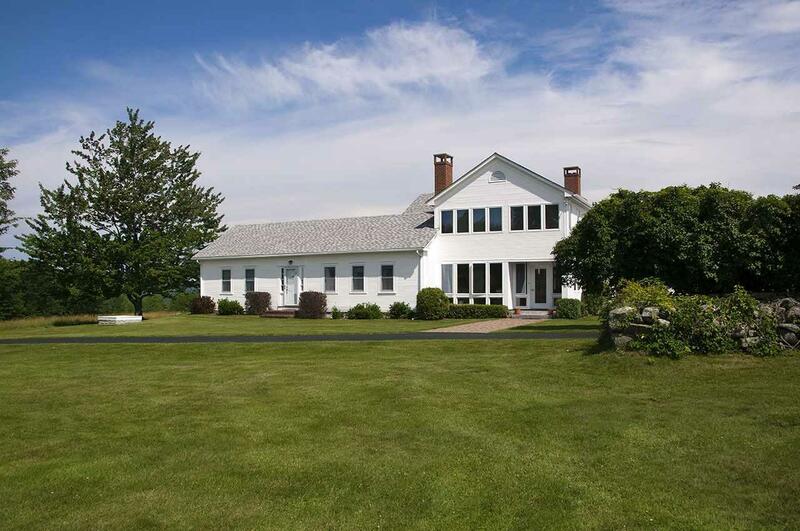 Two barns including the original English 1790s post and beam barn, and a larger barn with two garage bays offer plenty of additional work space and storage. There is also a small seasonal cottage, fenced in-ground pool, and shed. 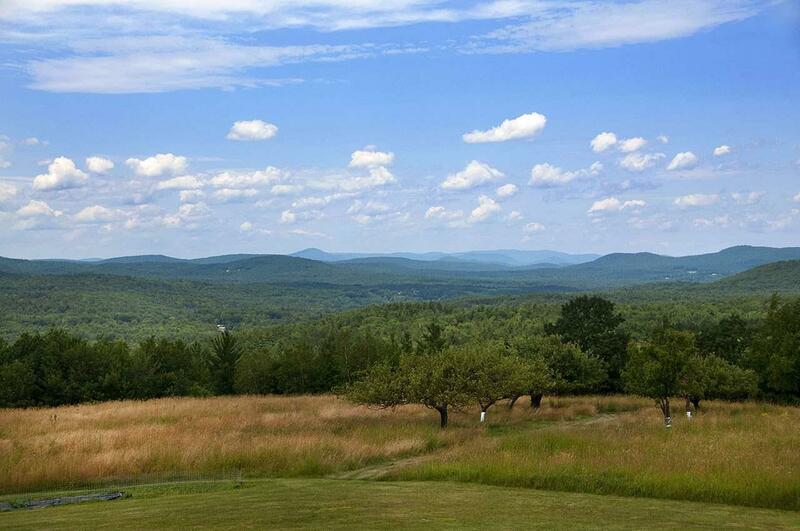 A private location just 15 minutes from Peterborough and 72 miles to Boston.